this product is good for my hair. The texture and smell are also good. Amazing deep conditioner. Only needed a tiny bit and could feel it moisturising my dry end instantly. This tub will last for ages. 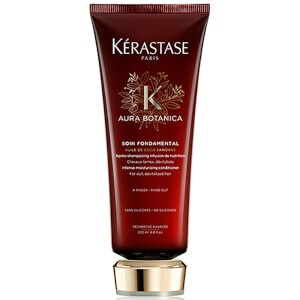 Much more effective than the Kerestase Nutritive hair mask. 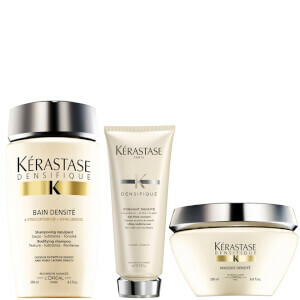 I have been a fan of Kerastase products for + 10 years, but I am starting to get fed up with the new releases: too much stuff, too expensive and below average results.I have fine hair and this mask does not do anything: it does not moisturise the hair nor add any "density". Would not recommend purchasing this product at all. This mask does what it promises: seals the hair, making them crumbly, but maintains the volume! Gel texture, pleasant aroma) Like! I am impressed by the texture, flavor and effectiveness of the product. The hair is a solid, dense and smooth. I recommend! The mask doesn't weigh down my hair and keep it healthy and glossy!